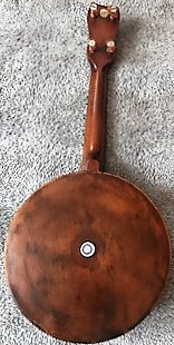 Pageant British ukulele-banjo made by George Houghton and Sons. 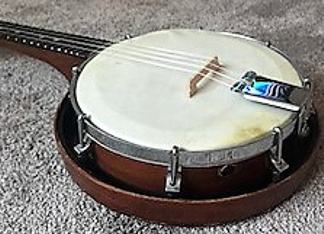 The vellum is split and it needs a new bridge. Once the above issues are addressed, it will play well for Formby style. 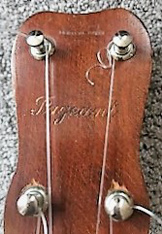 The motif on the back of the peghead shows that it was bought at Rushworth and Dreaper in Liverpool, the same shop that Lennon and McCartney bought their guitars from in the 60s.